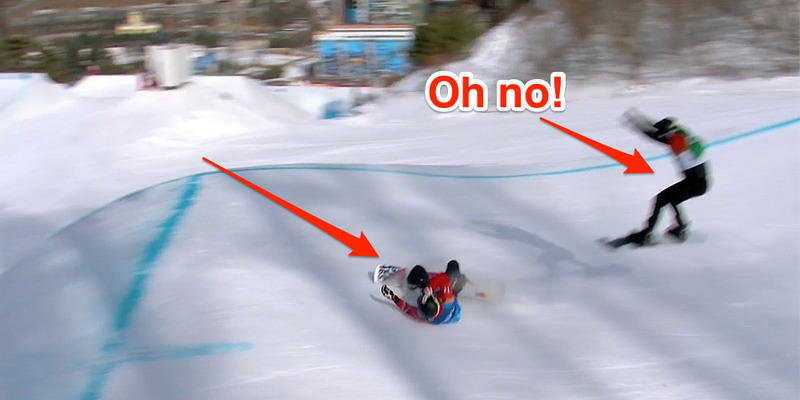 A snowboard cross semifinal race turned messy when five of six racers wiped out. After two racers went down, one turn took out three snowboarders at once, leaving Spain’s Regino Hernandez to finish the race alone. Four of five racers were able to get up and finish while one racer had to be taken off the course on a stretcher after seeking medical help. 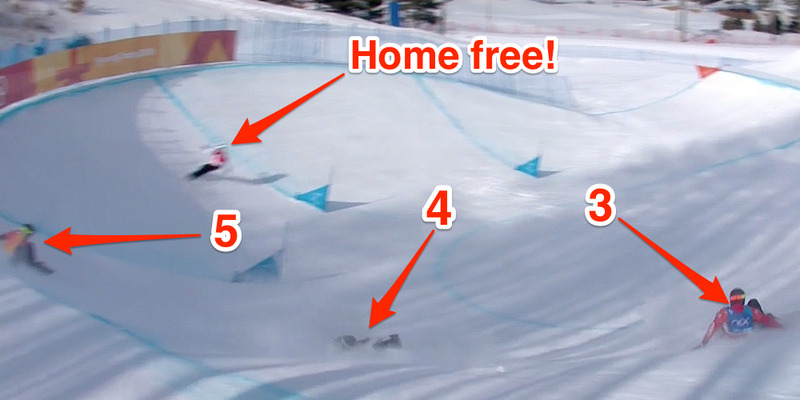 The second semifinal heat of the men’s snowboard cross at the Winter Olympics turned into a calamity when five of six racers wiped out. The race resulted in Spain’s Regino Hernandez finishing the race entirely by himself, with a 16-second margin before Nick Baumgartner of the U.S. crossed the line in second. 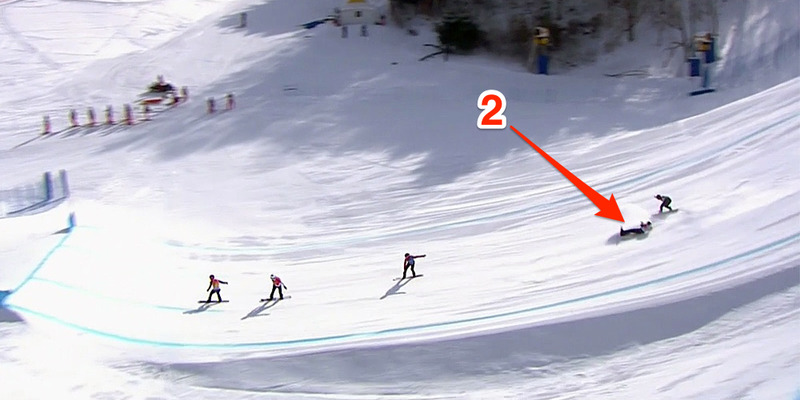 The race began normally, but the racers began dropping like flies. 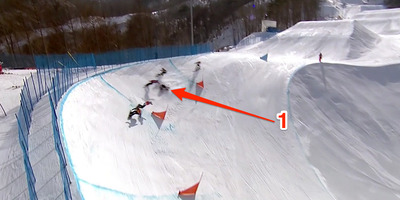 One boarder crashed on the first big turn of the course, less than 30 seconds into the race. Moments later, another racer wiped out after a big jump. But the biggest moment came seconds later, when after some rollers, one racer crashed, then tripped up another. And as they tumbled down, it was revealed that another racer crashed, leaving Hernandez by himself. Hernandez cruised to an easy victory without another rider in sight. Baumgartner and Mick Dierdorff of the U.S. took second and third. The other two racers finished, but Canada’s Christopher Robanske had to seek medical help on the course. 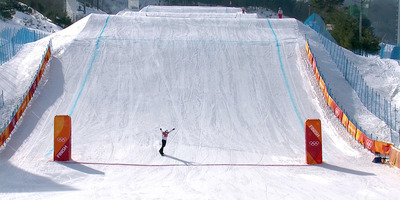 The top three racers advanced to the final, where Hernandez earned bronze.